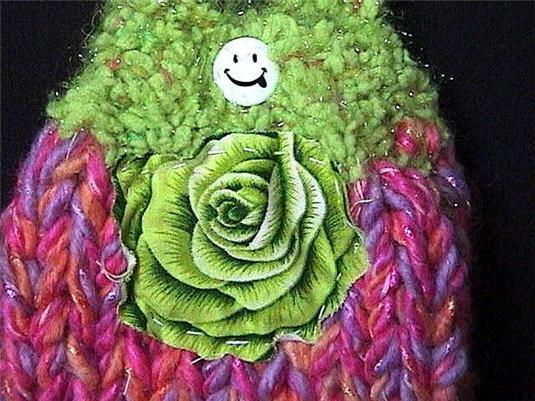 The lime green area top of the purse is knitted in the rib stitch for a very stretchy effect. 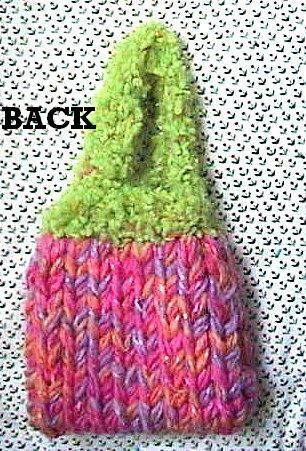 The body of the purse is done in stockinette stitch. 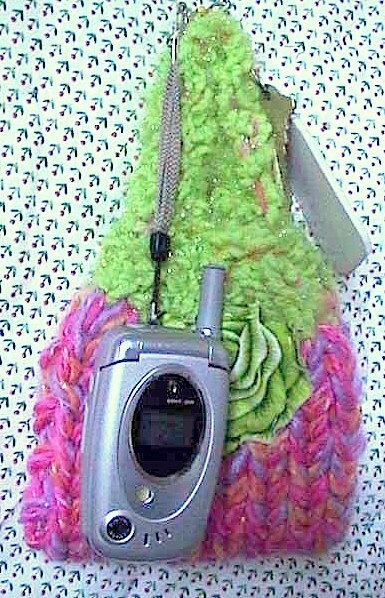 I hand knitted this gorgeous cellular phone carrier tote bag. It fits nicely on the wrist as a wristlet. Just insert your essentials and slide it onto your wrist. In some of the front photos the smiley face button is pushed to the other side of the purse; but it is there. 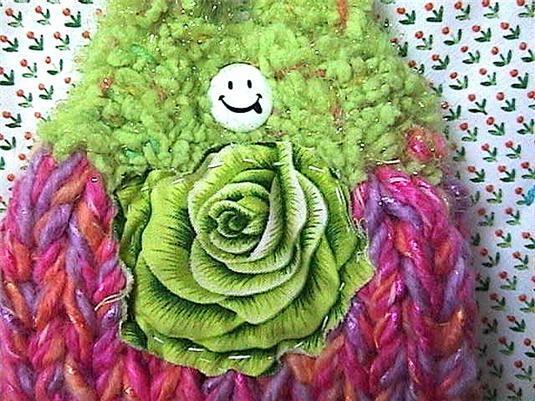 You will receive the purse shown with the smiley face button as shown. 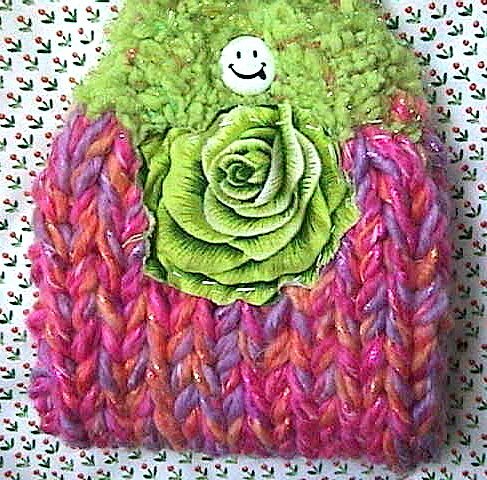 The cute smiley face button is the easy closure for this lovely cell carrier bag.